Sahil is student of Indira National College, Pune and running a company named as The Entertainment Merchant which manages artist all across India. He has managed standup comedian stars such as Zakir Khan, Praveen Singh, Abhishek Upmanyu, Kenny Sebastin, Kanan Gill and Kunal Kamra . He would be managing many upcoming shows such as Pune Comedy Festival & Noida Comedy Festival along with Punch liners which is a Delhi based Company. An Artist Manager is an individual or company who guides the professional career of artists in the entertainment industry. Talent manager or artist manager is responsible to oversee the day-to-day business affairs of an artist; advice and counsel talent concerning professional matters, long-term plans and personal decisions which may affect their career. 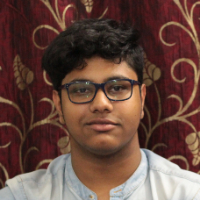 "I am a student of Indira National College, Pune and I have managed standup comedians such as Zakir Khan, Praveen Singh, Abhishek Upmanyu, Kenny Sebastin ,Kanan Gill and Kunal Kamra."